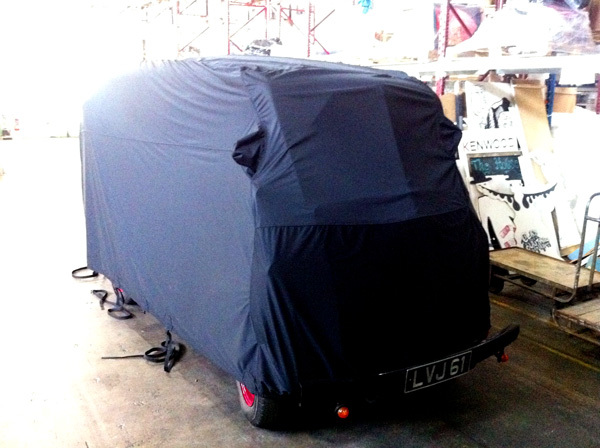 Kenwood’s Morris J-type Van Gets Covered ! Home - Kenwood’s Morris J-type Van Gets Covered ! 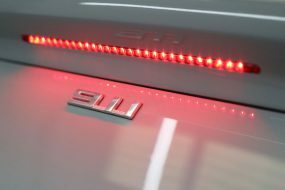 Kenwood, designer and manufacturer of household kitchen appliances loved by cooking enthusiasts the world over, recently approached Ultimate Finish to supply a specialist transportation cover for their Morris J-type PR vehicle. 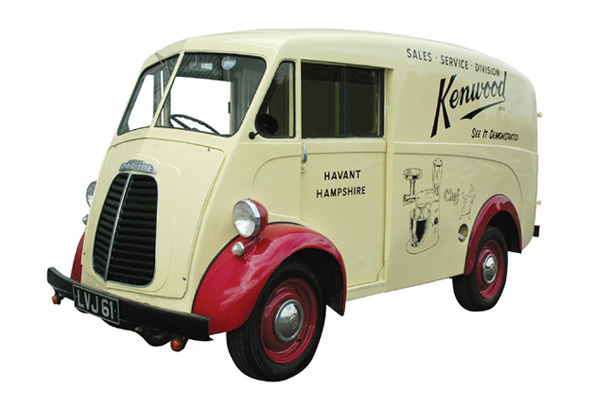 The Morris J-type and Kenwood have a long history and a huge amount of nostalgia is attached to this little van. The Kenwood J-type with its livery and Kenwood Chef mounted on the roof was a familiar sight on housing estates around the UK back when it was considered acceptable to make statements such as, “The Chef does everything but cook – that’s what wives are for!” But whilst the sentiment and the J-type are these days a little outdated, the Kenwood and the Kenwood Chef are as popular as ever! Kenwood realised a good deal of popular sentiment is attached to the J-type and so set about a restoration project. The immaculate example (shown above) makes regular appearances at shows and events up and down the country. At the Goodwood Revival last September it could be seen at the Kenwood’s stand with all the Kenwood guys and gals dressed up in period costume! Having earned its bread and butter through the years and owing to a top speed of just 53 mph, the Morris J-type gets a lift to events on the back of a transporter. Kenwood wanted to cover it whilst in transit to give it the best possible protection from the elements. 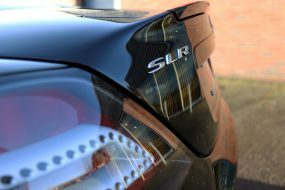 The Elite Transportation Cover by Specialised Covers is ideal for the purpose – the slightly stretchy fabric means it hugs the contours of the vehicle perfectly, reducing the opportunity for wind to get between the cover and the paintwork. 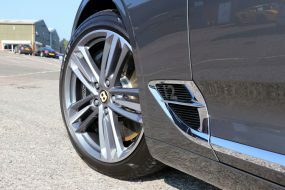 Under-chassis straps keep the cover extra secure and, being breathable and waterproof, it keeps the worst of the road grime away from the paintwork whilst preventing the car from sweating. Kenwood’s Morris J-type had already started its hectic events schedule, so the transportation cover was required urgently. 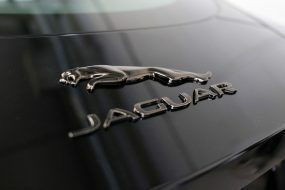 Within a matter of just a few days the Elite transportation cover was designed, created and dispatched to the home of the J-type. In what has to be the pinnacle of its achievements, the Kenwood Morris J-type has now been made into a Corgi scale model – forever indelibly securing a place in the history of British motoring. 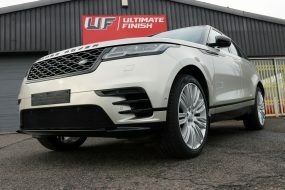 For further information on our range of fully tailored indoor and outdoor car covers call us on 0845 838 1200 or visit Ultimate Finish – Legendary Automotive Care since 1999.